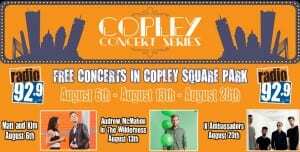 On three Thursday nights this August, Radio 92.9 is hosting Free Concerts in Copley Square Park. All shows start at 5pm with a local opener. 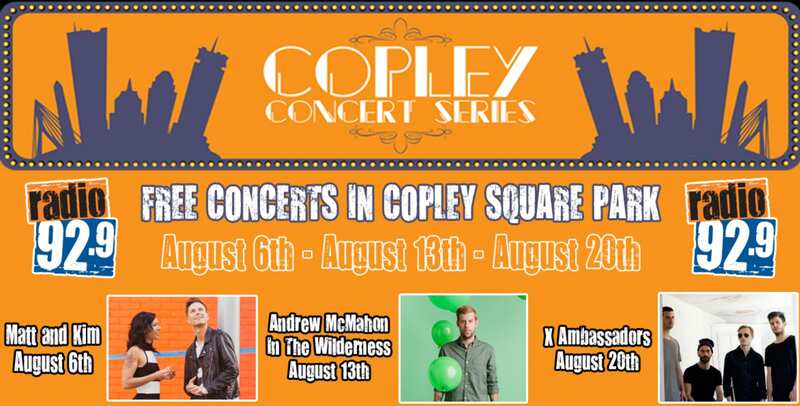 For more information about Copley Concert Series sponsored by Radio 92.9, please head here. If you are looking for even more free music series in Boston, please head here.